We felt a great sense of relief as we crossed the Norfolk county line. The sun was shining brightly and the sky was a brilliant shade of blue. As we arrived in Sheringham there was the distinct impression that the town was busy preparing itself for the influx of Easter tourists. This was in stark contrast to our earlier visits subsequent to the remarkable coastal weather experienced during the winter months. The combined forces of a seasonal tidal surge and storm front damaged many areas along the coast. Our cottage is sufficiently far away from the sea and is protected by Sheringham’s coastal defences so weathered the storm unscathed. However it was with some sadness that we noted the aftermath elsewhere. Sea defenses were breached in Blakeney, flooding the freshwater marshes with seawater and separating seal pups from their parents. 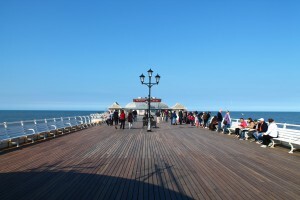 Cromer Pier and the promenade at Sheringham sustained some damage. Homes on cliffs in Hemsby fell into the sea after a cliff collapsed and many low lying areas suffered flooding. This all sounds fairly bleak, but Norfolk residents, like many in coastal areas in Great Britain, have to pay the price for their close proximity to the sea. Property threatening events thankfully are infrequent and frankly most would consider such rare events worth the risk balanced against the benefits of coastal life. Having just walked Cromer Pier in the Spring sunshine I must tip my hat to Victorian engineering and construction. This century-old structure braved waves that battered and engulfed it, yet only suffered damage to the flooring and the box office despite many commentators stating it would not last the evening. The pier is currently open to the public with smart new decking and it is expected the works to complete the box office and gift shop will be completed soon. 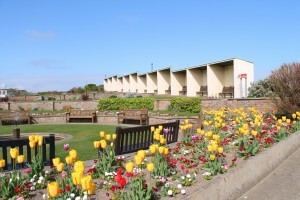 Similarly repairs to the West Promenade in Sheringham are nearing completion. The sea wall has been rebuilt with new concrete leaving just the concrete paved surface and railings to complete the works. The beach and promenade are still open for business. The weather clearly has an impact upon tourism so positive weather reports and promises of unbroken weeks of sunshine and, dare I say it, heatwaves are welcome news to seaside towns. The spring flowers look glorious in the immaculate gardens of Sheringham and people have shrugged off their winter apparel in favour of their spring wardrobes. Children are dragging their parents onto the beaches. We decided this year to visit some new tourist attractions that have been on our radar for a while. The plan was to drive along the coast road to Mundesley, stopping for lunch at the Jonet Café (a favourite of ours) followed by a walk along the beach. We’d then drive onto the Museum of the Broads in Stalham stopping brielfy at Happisburgh (pronounced Haze-bruh) to photograph the lighthouse and beach. 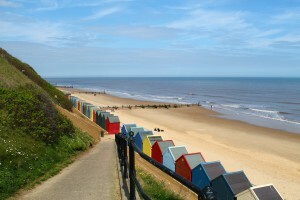 The drive to Mundesley is fairly straightforward and takes you through the centre of Cromer and then onto Overstrand. The beach, like Sheringham, took a bit of a hammering, but there was no evidence of it as we walked down the slope to be greeted by the golden sand and multicoloured beach huts. After we’d been sated by lunch at the Jolet we carried on down the coast road to Happisburgh, stopping briefly at Stow Mill just outside of Mundesley. I must warn you that the drive down to Happisburgh will take you past Bacton Gas Terminal. Mercifully this is fairly well hidden from the surrounding villages and soon passed. 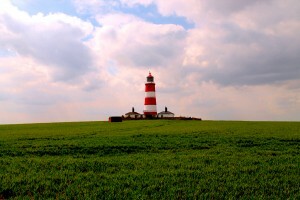 Happisburgh is home to the famous red and white striped lighthouse. The lighthouse is the oldest working light on the Norfolk Coast and the only independently operated lighthouse in the UK. It is open to the public on selected Sundays and Bank Holidays during the year. Please check the lighthouse website for latest opening times and entrance fees. 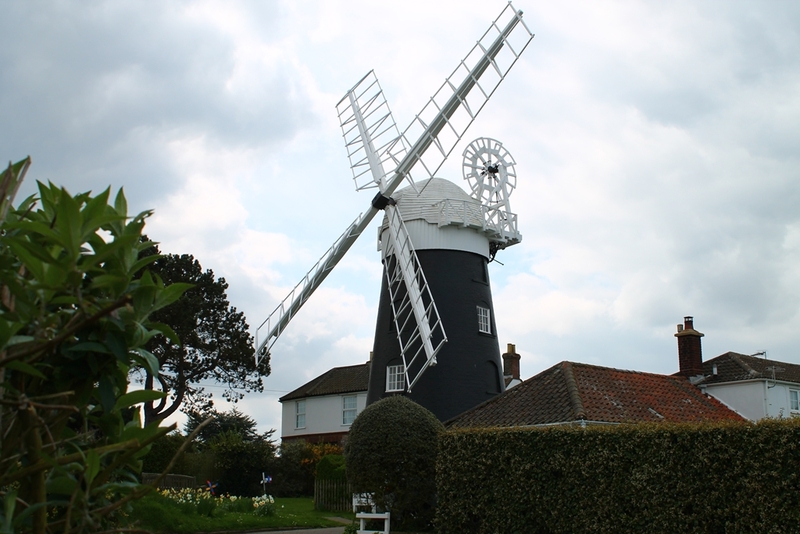 Stalham is about 15 minutes drive away from Happisburgh at a leisurely pace, so it didn’t take us too long to get to the Museum of the Broads. 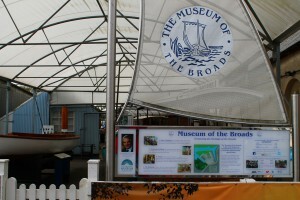 We got a bit confused about the parking and were given incorrect advice by staff at Richardson’s Boatyard so ended up parking on the road outside the museum. For the record, parking is available at the boatyard and we’d recommend parking there. The museum, like many in East Anglia, more than makes up by the richness of its exhibits what it lacks in size. Family entrance is extremely reasonable (£13 for a family of 5 at the time of writing) and we were offered electronic spoken guides to talk us through some of the exhibits in more detail at no extra cost. Entrance to the shop and café is free. 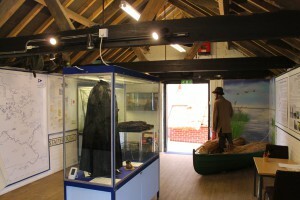 The museum is housed in a number of sheds, each containing a number of large and small exhibits. The two big ticket displays, Maria and Falcon take pride of place. Maria was the fastest racing yacht in the 1800s with a very interesting back story. The Falcon is a live exhibit, a Victorian steam launch that runs river trips for a small fee. Unfortunately during our visit Falcon was out of action so it’s probably worth checking their website or phoning ahead to check availability and book the river trip. 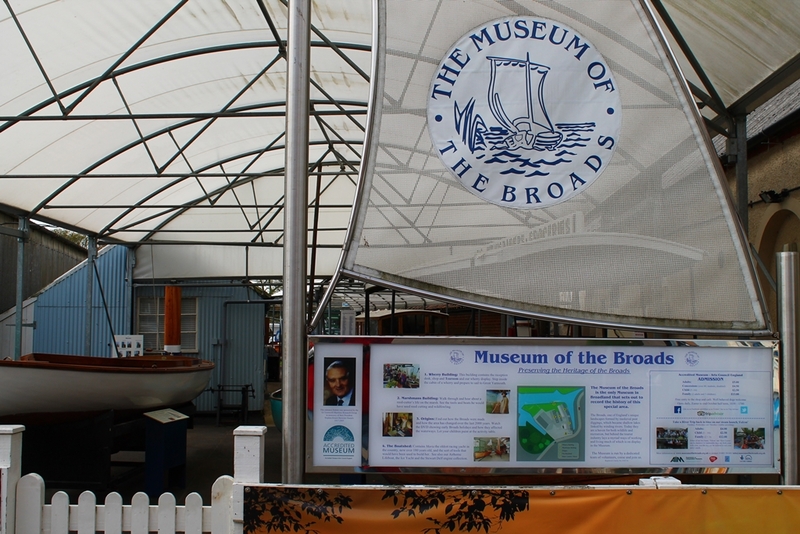 The weather was gorgeous and we spent a happy couple of hours wandering around the exhibits with no complaints from our kids soaking up the atmosphere of the Broads. My favourite exhibit was the concrete rowing boat. I kid not.